I am excited to share that I am joining Chargebee to help accelerate the company’s Growth in its subscription management and billing product. Look forward to working with the team and founders of Chargebee: Krish, Rajaraman, Thiyagu, and KPS. 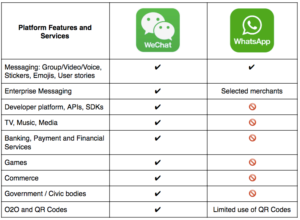 Is WhatsApp stifling the Art of The Possible in India? I believe WhatsApp can do more. 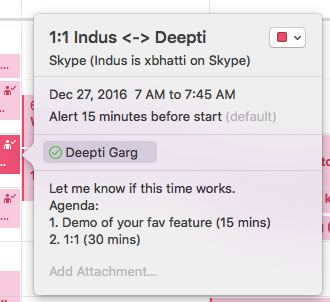 It has become a utility, but failing at showing the full potential of a communication medium to its installed base, especially in India. Slides from a talk I gave about decision making earlier this month at UC Berkeley. 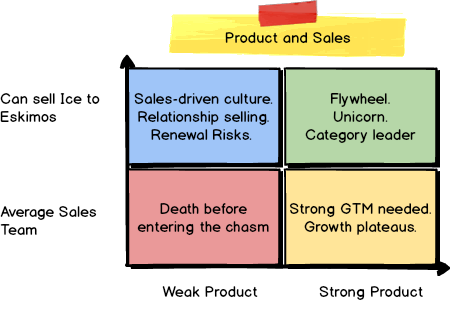 External scorecard and customer satisfaction score calculation have become common, especially amongst SaaS vendors, whereas, there are very few techniques of arriving at an internal scorecard of a product. Jerry Chen of Greylock wrote a fantastic piece on moats. He gave a refresher on traditional defensible moats used by technology companies (sustained by scale and network effects) and introduced the Systems of Intelligence (SOI) as a new defensible moat within the enterprise stack. The SOI is sandwiched between the Systems of Engagement (web, chat, mobile) at the top and the System of Record (CRM, HCM, ERP, ITSM) at the bottom. A system of intelligence aggregates, analyzes, and acts on data passing through it–reduces human intervention, and takes decisions on their collective behalf. Extending Jerry’s thought, a defensible moat is not just AI; it is automated custom actions, stellar visualizations, and an engine to accelerate the system itself. Let’s imagine what a System of Intelligence would mean in the world of enterprise cloud SaaS products. Today, when you want to buy best-of-breed cloud products you buy a vertical SaaS. But even though most vertical SaaS products supplanted many individual “modules” in the vintage single instance and single vendor on premise software stack, they remain highly specific and fragmented. For example, there’s a SaaS product for sending mass marketing e-mails to consumers, sending out post-purchase surveys, or engaging users on a site. There are a half-a-dozen products one has to use to analyze a customer workflow (or touchpoint) across channels. At each stage of the workflow, data is generated and then stitched to get a state transition value. In enterprise SaaS, the System of Intelligence is an analytics mesh, which coalesces many individual data-points and provides actionable insights. This gives birth to a new kind of defensible moat because the vertical SaaS is now serving as data sensors that are tightly coupled with the enterprise user on every device. BI and analytics products such as Tableau, Domo, Qlik and other tools are precursor to tomorrow’s Systems of Intelligence. Today, they do a good job in providing a unified data aggregation and analytics layer on top of customer, employee, and prospect workflows. We will continue to see disintermediation of general purpose analytics products, and domain-specific intelligence tools will win over generic aggregation. AI will help stitch the data together and create automatic actions, which is when intelligence will drive system acceleration. The startup experience is a collection of up and down moments–whether you are a founder or not. The moment you commit yourself to a cause, it’s no longer a compartment of your brain which can be turned off. A few days ago, I had a down day which lasted 24-ish hours, but luckily I chanced upon something which brought me back from gloom. 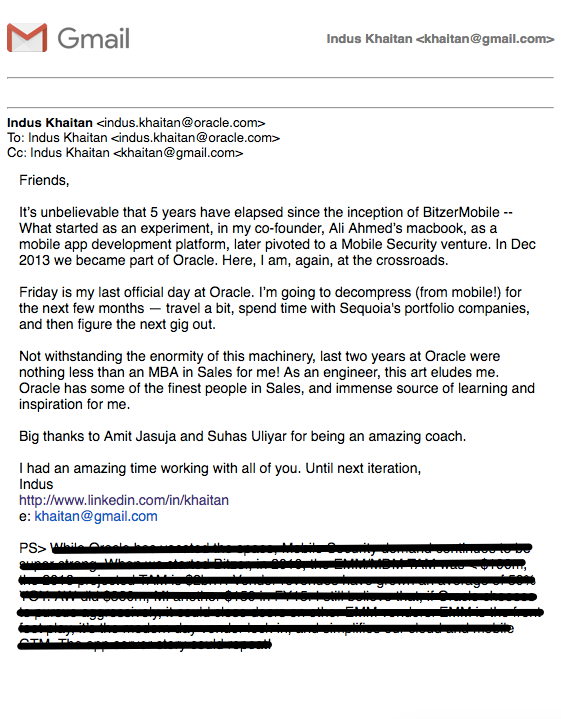 While looking for a random message, I found an e-mail which I sent while leaving Oracle, earlier this year in March. Reading that thread and re-collecting the love people gave after I sent that note warmed my heart. Thanks to the lovely messages, I was back to drinking virgin Pina Colada! I never thought I’d ever publish this e-mail outside, but here it is, slightly redacted.